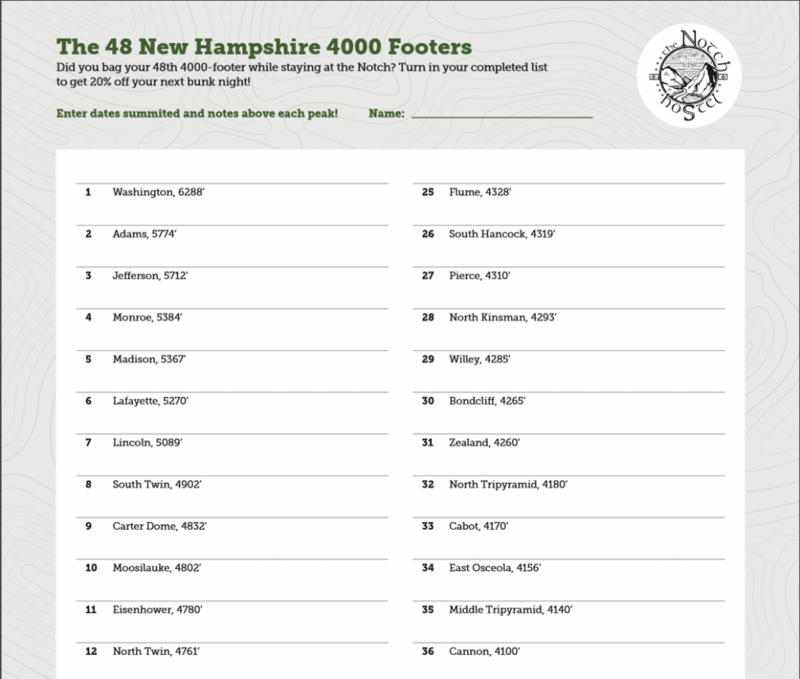 Download and print your own sheet to keep track of New Hampshire’s 4000-footers! Special thanks to peak bagger Chris Roth for creating this printable link! Make sure you fit the sheet to page when printing, or pick up one of our 11×17 copies the next time you stay at The Notch!